Listening Session 005: Exploring the sometimes under-appreciated early 1980s output of the Grateful Dead in excellent audience recordings, along with the occasional story and insight adding color along the way. I can't thank you enough for doing this! As someone who feels almost "cheated" for not having been around for the good old days, these podcasts are like a little time machine. You are an excellent tourguide, PLEASE keep up the fantastic work! I agree completely with the previous comment; I love your podcasts. In fact, I was just thinking yesterday about asking when your next one was going to be released. Brilliant, I can't wait to listen to it, thank you. Thanks from here too. I can't help but laugh at comments about having "missed out" or "feeling cheated" though. The truth is (see Jerry's comment on the right of this) typified by the old adage: "If you remember the times, you weren't there". I was there, worked the shows and have precious few succinct memories of allot of it. It's mostly a blur of anecdotes and weird stories from the stage wings. I wasn't there, but had I been, I would have enjoyed the music and passed on the mind altering substances. The Dead's music is too good to require drugs to enjoy. Good Man! Your podcasts are brilliant. The audience tapes you share are a very nice thing too. RIP Jerry Moore. Taper Extraordinare who freely shared the music. So many fine recordings - 6/23/74 Miami is probably my favorite. Go in peace. Excellent episode! The whole fam got to enjoy this listening session on our drive home from the mountains this weekend. The MSG section really got the car rockin' and we had to listen to the China Doll twice. Great picks once again! Sadly, my download must have gotten corrupted because the He's Gone got cut off before it barely began. Going to have to visit the vault for a download of that show plus many of the others. Keep up the great work! Tim, Love that the whole family could enjoy the 'cast. Try re-downloading the episode. You aren't the first to encounter a partial download (darn my cheap hosting). But giving it a second try should get the complete file. I would love to listen, but can't find you on iTunes. How do I sign up? Wow! I had the exact same experience with 1984 as you describe in the podcast! For many reasons, it's easily one of my favorite years, when speaking of the 80s. So many gems in that year, so much darkness and astonishing brilliance when they shine together, especially when Garcia wakes up and delivers some of the most heartfelt music I've ever heard. Thank god for the GD, for geeks like yourself, and all of those others who spent the time and energy taping, reviewing and analyzing. This is Hands down my favorite reference site at the moment. As a 40 year old attorney at my desk all day, the archive is the greatest source of music to stream daily, your blog only assists in my wading through the menagerie. Question: Would the mid 70's shows, as good as they are, have been better with Mydland, or is it a wash. I have always wondered. I am loving these podcasts and trying to share them with others. I agree with some of the earlier comments. Your approach to the Dead is one I connect with: more cerebral and spiritual, both head and heart -- more about the music than the chemically-altered experience. 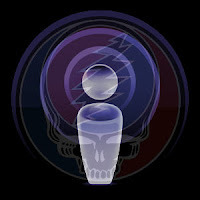 While I sometimes have taken the 80s for granted -- as I saw the Dead myself from '85 and on, and thus marvel at the earlier stuff I never heard live save on recording -- your podcasts rekindle my excitement for the fine work of that decade, especially the first half, which I've overlooked. I'm sure you'll get to the second half of the 80s -- some great tours and moments then too. Vince never quite clicked for me. In other words, each keyboardist fit his era. Brent's energy fit the energetic vibe of the 80's and Kieth's jazzy, shimmering, understated style fit the seventies. Bilvis, I'm really glad to have you hanging out here listening to music with us. I am partial to the 80's shows because the first show I got into was Buckeye Lake in summer of 1988. So I was already listening to before that but Hearing a CD,(tapes at the time) was nothing like seeing them LIVE. The second show I saw was in September of that same year and the only time I got to see them play Shakedown, what a night,back in the days when everyone camped out in the parking lots and around. I miss Jerry still so much.